The ransomware storm ain’t gonna stop in 2017! Ransomware attacks are increasing rapidly and 2016 year saw 200% growth in the attacks. And with the kind of services created by hackers like Ranion RaaS, Ransomware is going to grow rapidly. It is believed that everyday, 4,000 attacks happen only in USA. With an intention to collect a ransom amount smoothly, Spora Ransowmare attackers are now providing 24/7 customer support with a very well-designed payment page! Spora is making it’s name silently in the dark web! It’s capability to bluff users with Chrome Font Pack recently has made itself even dangerous. The working of recent Spora Ransomware is pretty simple. The hackers inject a code on a particular website and upon open that particular website on Chrome, it asks to change the browser font in order to see the page clearly. In most of the cases, users prefer the install the Chrome Font Pack which is Spora Ransomware. This is the easiest way to bluff Chrome users and within no time Spora Ransomware will encrypt all the files in your system. And then, the ransom amount comes into play in the form of Bitcoin. This is how the Spora Ransomware works and demands users for a ransom amount. 99% of the users are not familiar with these kinds of attacks and payment types. In order to process the payment smoothly, Spora Ransomware support for the victims carries out the work very smoothly. According to the MalwareHunter researchers, they have spotted few conversations that are being discussed between the victims and Spora Ransomware support system. And the way the hackers are dealing looks like, they are pretty much experienced in handling a successful ransomware campaign. There are few users who don’t have any idea about the payment type which is Bitcoin. The professional ransomware attackers have created a separate video to guide victims about all the basics of Bitcoin, how to buy them and how to pay the attackers online. This clearly indicates that Spora Ransomware support is taking the online attacks to the next level by providing great customer support. By this, you can also analyze that Spora Ransomware attacks have been increasing rapidly in the past and the attackers are making it easier for victims to pay the ransom amount. Spora Ransomware is slowly growing but it’s still not spreading as rapid as Cerber 3/4 Ransomware or Locky Ransomware. If we compare last week’s data, Cerber & Locky are the most infected ransomwares around the world! To prevent the ransomware affecting your systems and encrypt your important data, I have listed many decryptor tools which might help you to remove ransomware from your system without paying any ransom amount to hackers. 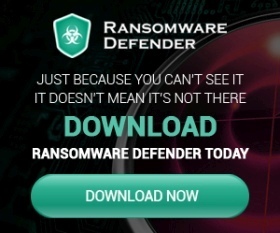 For more updates on Ransomware, keep visiting our blog! Be safe! Do share this with your loved ones so that none of them would be infected with Spora Ransomware!